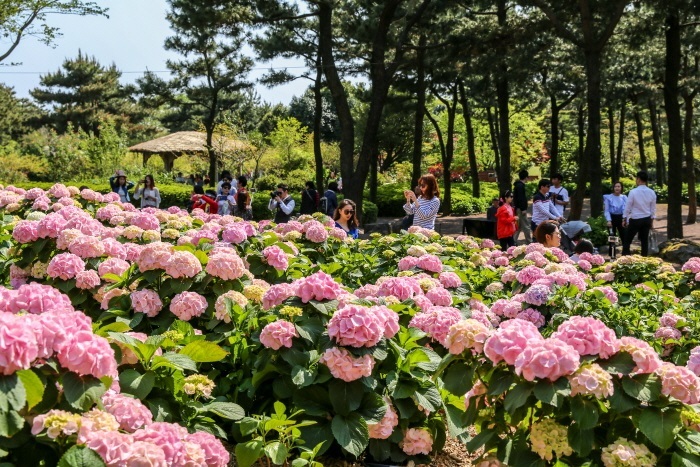 Full-blown flowers are ringing out the late spring of May and welcoming the early summer of June all across the Korean Peninsula. 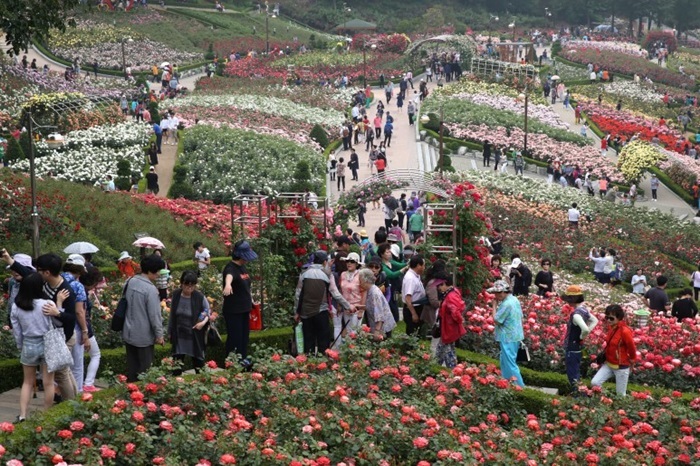 An abundance of flower festivals, if not as many as in the spring, will attract tourists from across the country, allowing them to enjoy to the fullest the wonders of late spring and early summer. Why don’t you head out and feel the breeze and smell the floral aromas at one of these festivals with your family, friends or loved ones? Here are some of the flower festivals to check out featuring roses, hydrangeas and lavenders. 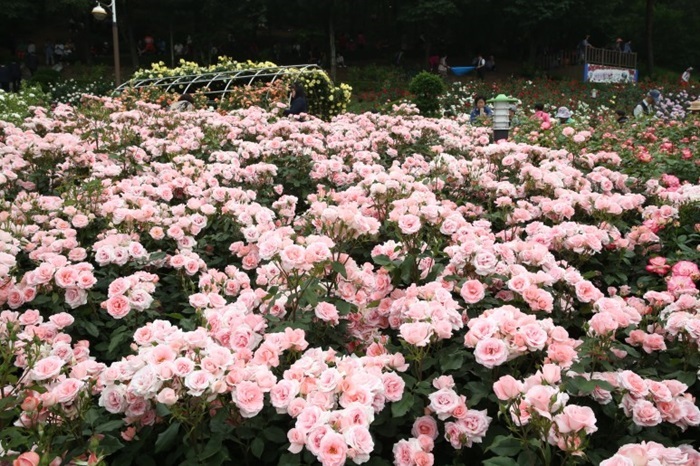 The Million Rose Garden in Bucheon-si, Gyeonggi-do Province, will host a rose festival from May 27 to June 11, drawing visitors into its flamboyant display of more than 127 different kinds of roses. 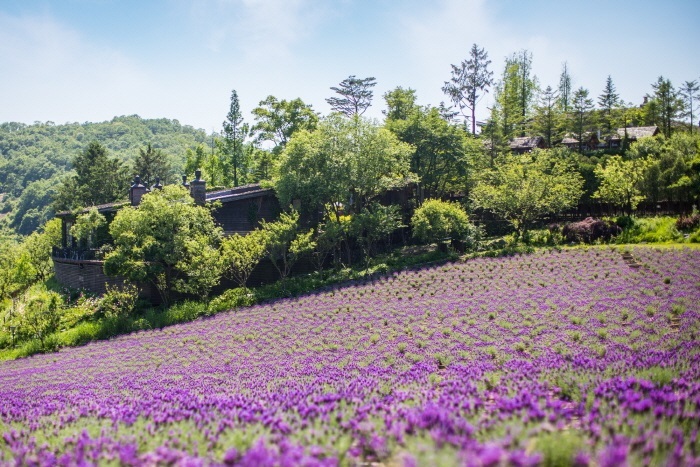 The festival can be enjoyed from 10 a.m. to 6 p.m.
A lavender festival is currently underway at the Herb Village in Yeoncheon-si, Gyeonggi-do Province. Continuing until June 17, the festival will serve up a variety of herbs at its history museum and green houses, as well as fields of fully-blossomed purple lavender flowers. Jeju Island, too, has flowers in full bloom. 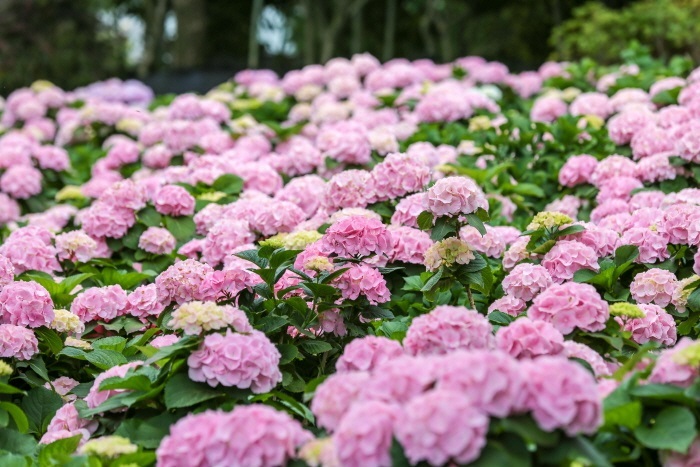 If you visit the hydrangea festival currently underway at the Hueree Natural Park in Seogwipo-si, you will encounter a mass of hydrangeas in various colors, from pink to purple, while strolling through the park. There’ll also be a parade of Jeju native black pigs every hour on the hour, as well as other hands-on programs, such as horse riding.